Heidelberg has a long tradition of being a hospitable town. The presence of the Heidelberg Castle with its celebrations and festivities led to the construction of guesthouses, since there was much too little space in the castle for all the aristocratic guests that had been invited. 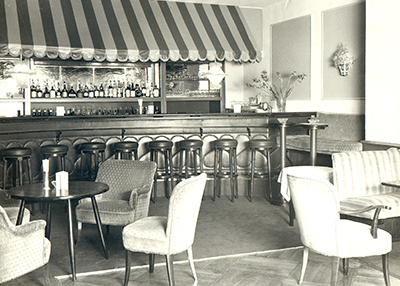 When the “Guesthouse Europaeischer Hof” opened in 1865, the guests who enjoyed the elegant and royal atmosphere were probably not all aristocrats anymore. Of course, the hotel was always up to date with its equipment – as early as 1890, state-of-the-art central heating was installed in the newly named “Hôtel de l’Europe” as well as its own electric power station. Modern technical equipment combined with elegant architecture and warm-hearted hospitality –the Gabler family their grandson, Ernst-Friedrich von Kretschmann, and his wife Sylvia successfully carried this tradition forward. 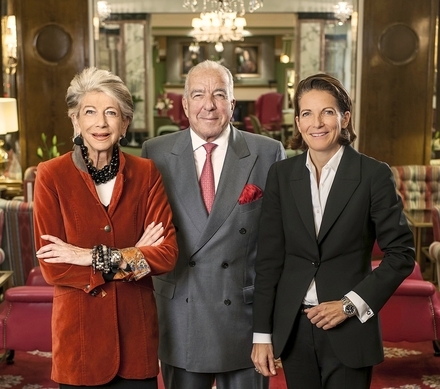 Today, their daughter Dr. Caroline von Kretschmann leads the first-class hotel in its fourth generation. 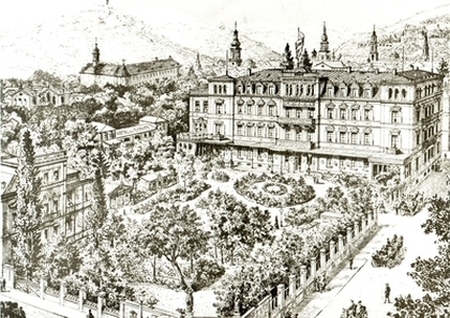 1865 Opening of the “Guesthouse Europaeischer Hof” after two years of construction by Joseph Schrieder. 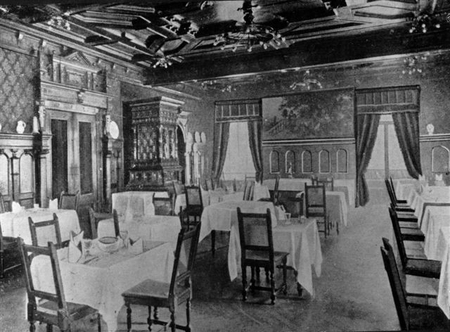 1866 The restaurant “Kurfürstenstube“ shortly after the opening of the hotel. 1890 Change of name to “Hôtel de l’Europe” and installation of state-of-the-art central heating. 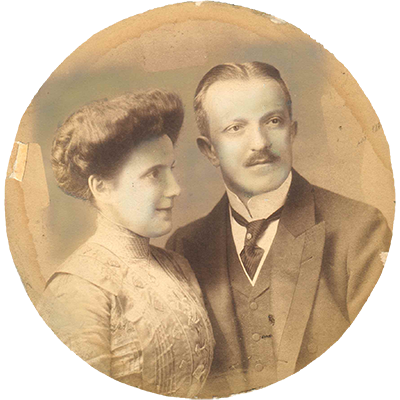 1906 After various changes of ownership, Fritz Gabler and his wife Luise purchase the hotel for 1,100,000 Goldmark (850,000 for the property itself, 250,000 for equipment and inventory). 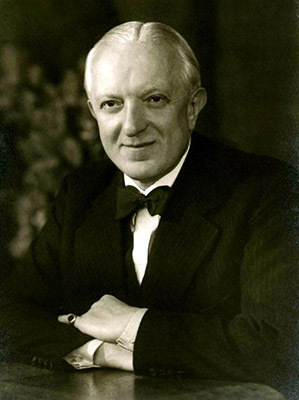 1925 Fritz Gabler is the driving force behind the founding of Heidelberg’s Hotel Management School. 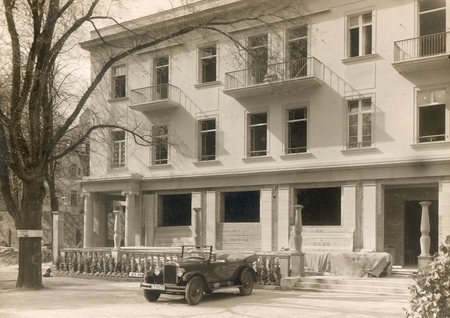 1926 Construction of the three-storey side wing (plus basement) with 20 new rooms, a bar, conference room and central heating system. 1928 Completion of the three-storey side wing (plus basement) with 20 new rooms, a bar, conference room and central heating system. 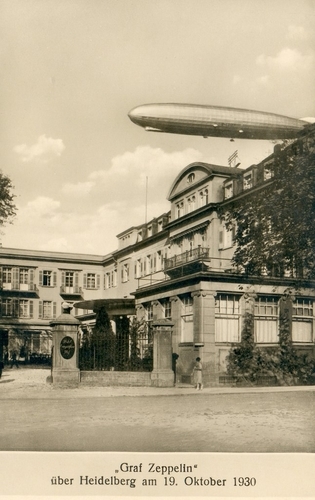 1930 The airship “Graf Zeppelin” passes the Europaeischer Hof on 19th October 1930. 1936 Edith von Kretschmann (née Gabler) marries Arthur von Kretschmann, who dies at a young age in Stalingrad in 1942. 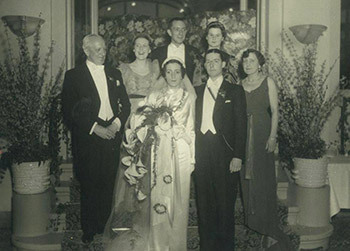 1936 Fritz Gabler (above with his wife Luise and children Edith, Erich and Lilo) is elected President of the ALLIANCE INTERNATIONALE DE L'HOTELLERIE, the World Hotel Association, with headquarters in Paris. 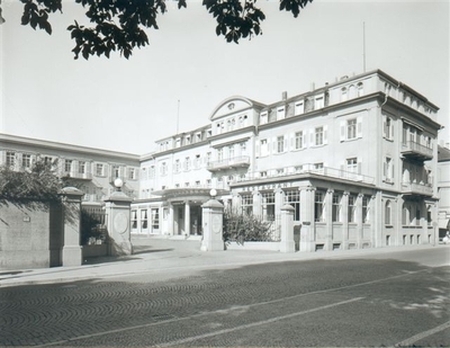 1945 The hotel is requisitioned by the American occupation forces and is turned into the headquarters for the American troops: Headquarter United States Army Europe and Seventh Army. 1953 Fritz Gabler dies at the age of 77 on 2nd August 1953 before the hotel is returned to his wife Luise Gabler from the American occupation forces in 1955. 1957 Reopening of the Europaeischer Hof after being returned by the American occupation forces. 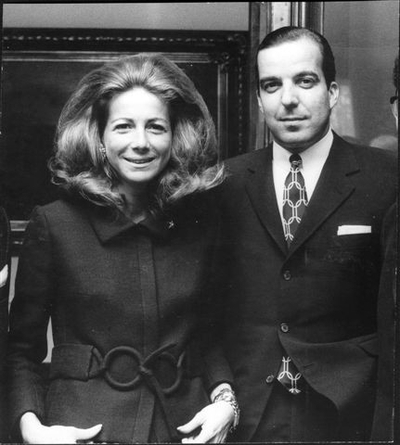 1965 The grandson of the third generation, Ernst-Friedrich von Kretschmann, and his wife Sylvia take over the leadership of the company. 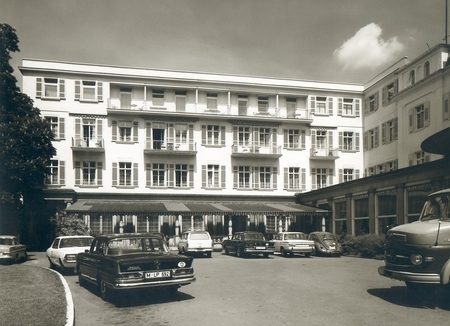 1966 A third storey is added to the side-wing with 14 new rooms. Modifications to the bar, the restaurant and addition of an another conference room. 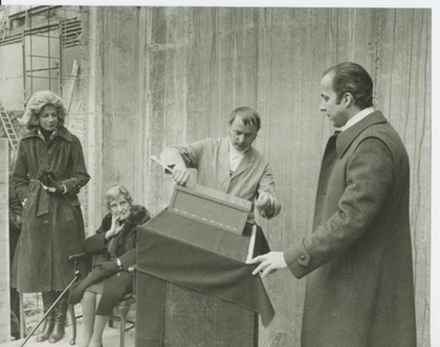 1975 A two-storey underground garage with 120 parking spaces and two new floors with 33 hotel rooms, 8 specialist retailers and various office spacess are constructed. 1976 In 1976, the ground-breaking took place for the extensive reconstructions and extensions. 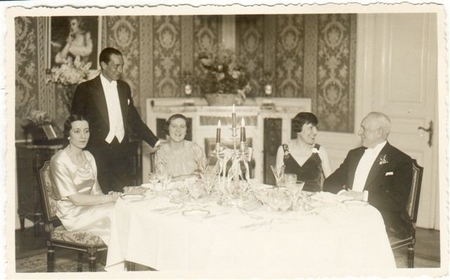 In the photo: Managing Directors Ernst-Friedrich and Sylvia von Kretschmann, craftsman Mr. Müller and Senior Chief Executive Luise Gabler (seated). 1981 Luise Gabler dies on 14th December 1981 at the age of 93. 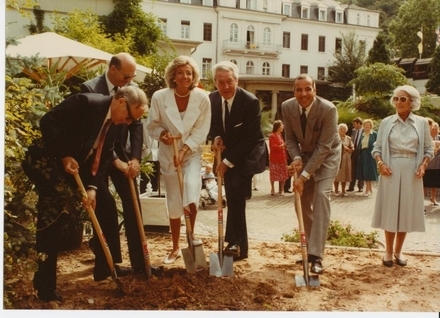 1985 August 11th, 1985 was the official ground-breaking for the five-storey garden extension. 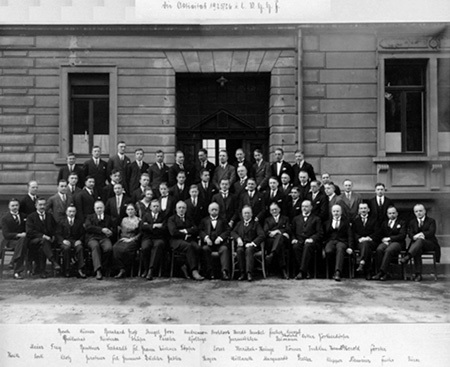 From the left: Architect Gerhard Hauss, Chairman of the Bezirkssparkasse Heidelberg Manfred Winkler, Managing Director of the Europaeischer Hof Sylvia von Kretschmann, Mayor of Heidelberg Reinhold Zundel, Managing Director of the Europaeischer Hof Ernst-Friedrich von Kretschmann and Lilo Falco, daughter of the Founders, the Gabler family. 1988 A new five-storey garden extension plus the new building No. 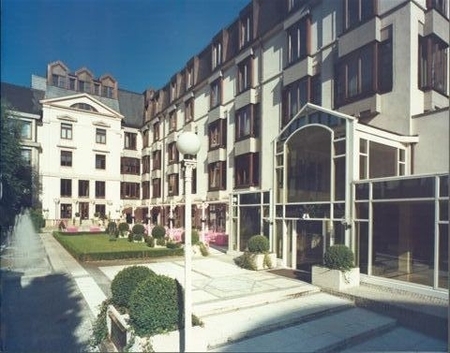 27 Sofienstrasse (following the demolition of the "Park Villa") and the addition of a fourth storey with a Penthouse Suite on the side wing expand the hotel’s capacity: 42 new apartments and rooms, 3 new street-level shops and 4 new office units on the upper floors. The public garage is extended by 80 parking spaces to a total capacity of 200. 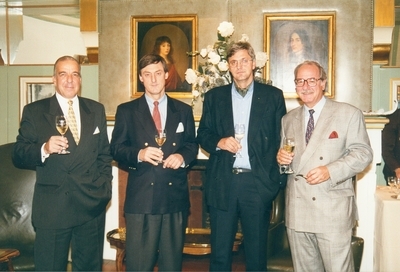 1996 As heirs to their mother Lilo Falco, the two grandsons of Fritz Gabler, Harald and Dr Günther Falco, sell their 50% holdings in the company to their cousins Ernst-Friedrich and Oskar von Kretschmann senior. 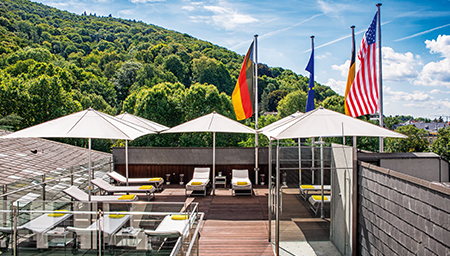 2000 Opening of our PANORAMA SPA CLUB fitness and wellness area above the rooftops of Heidelberg with a unique view overlooking the famous Heidelberg Castle and the Odenwald Forest. 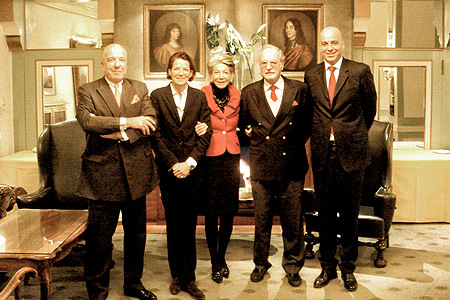 2001 As shareholder, Ernst-Friedrich von Kretschmann transfers 20% of his holdings to his wife Sylvia and 30% to each of his children Oskar junior and Dr. Caroline von Kretschmann. 2002 Opening of the sun terrace next to the pool. 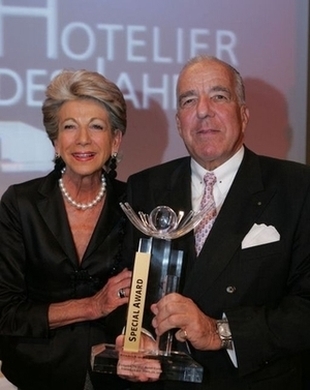 2006 Together with his wife, Ernst-Friedrich von Kretschmann is elected “Hotelier of the Year” for his life's work. In addition, he is awarded the Business Medal of the State of Baden-Württemberg. 2009 Oskar von Kretschmann senior retires as shareholder. His 50 % shares are acquired by the family of Ernst-Friedrich von Kretschmann. 2010 Rebranding with new logo: "Der Europäische Hof Heidelberg - Privathotel seit 1865". Certification as Certified Business Hotel, Certified Conference Hotel and certified as conforming to the pharma code. Relaunch of the new website. 2012 During this year, several further renovations took place. 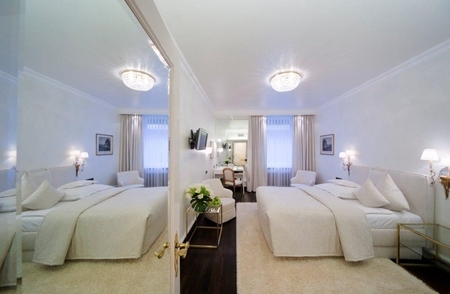 Many rooms are now furnished with dark, high-quality parquet floors, the lobby was renovated and the conference rooms were modernised with ceiling projectors. 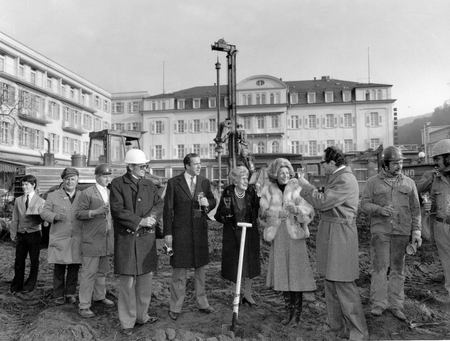 2013 Ernst-Friedrich von Kretschmann hands over the management of the hotel (DER EUROPÄISCHE HOF HOTEL EUROPA HEIDELBERG GmbH) to his daughter, Dr. Caroline von Kretschmann. His wife Frau Sylvia von Kretschmann is the second Managing Director and continues managing the hotel operations together with her daughter. Ernst-Friedrich von Kretschmann remains the Managing Director of the real estate holding company (EUROPÄISCHER HOF FRITZ GABLER GmbH & Co. KG). 2015 150 Years of Europaeischer Hof Heidelberg. The anniversary is celebrated with 12 different events.